At our house, summer means we go through a lot of sidewalk chalk. 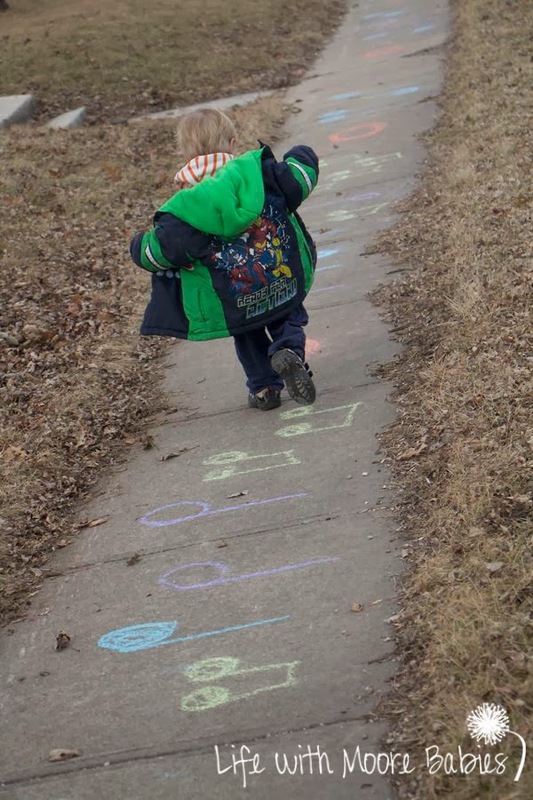 J easily spends hours upon hours freely drawing, writing, and coloring with sidewalk chalk. 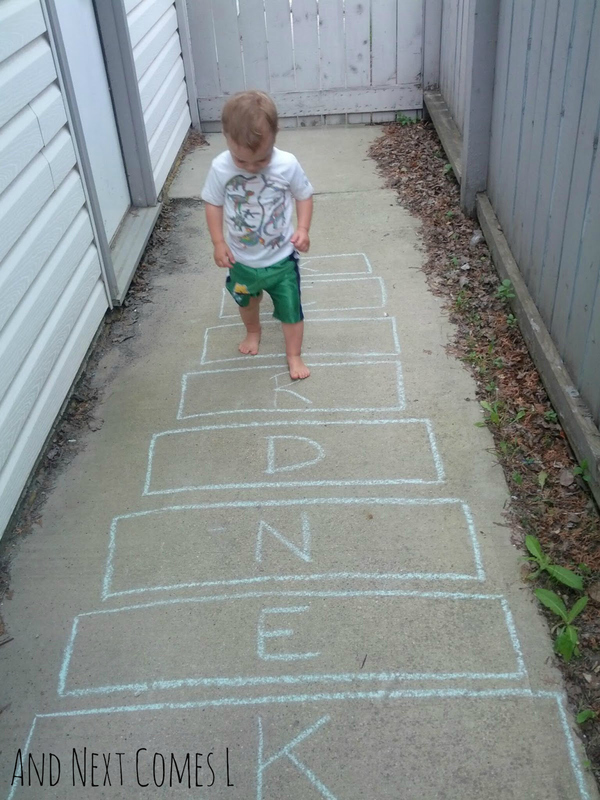 However, sometimes I like to set up some quick learning activities using chalk, ranging from rocket hopscotch to coloring a rainbow to fun music activities. 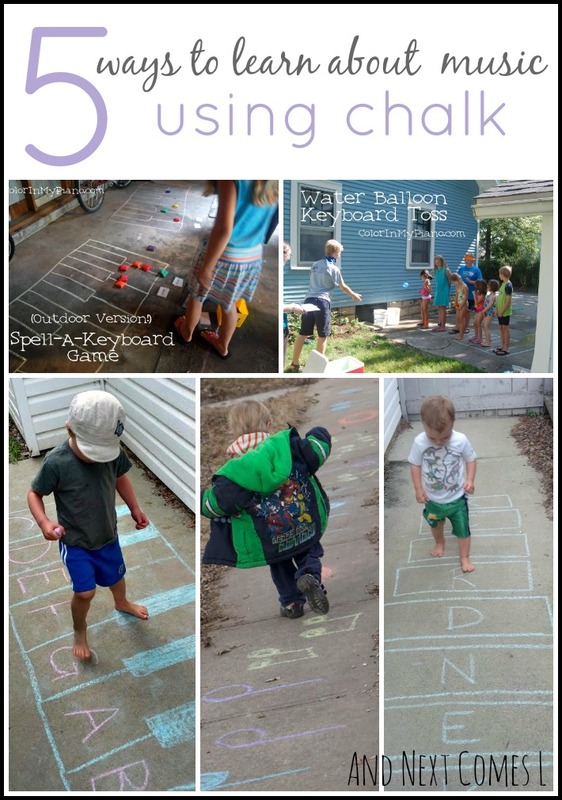 We've done a couple of music activities with chalk in the past (with many more ideas floating around in my head! ), but I also found a couple of other neat music theory ideas using chalk. You can click either the images or the titles below to read more about the activities. Introduce young toddlers to instruments while teaching them how to spell their name! This xylophone hopscotch is inspired by the shape of the instrument and can be used to show toddlers how the bars on the xylophone get shorter as you move from one end to the other. Here's a great way to work on piano key identification with beginner piano students. 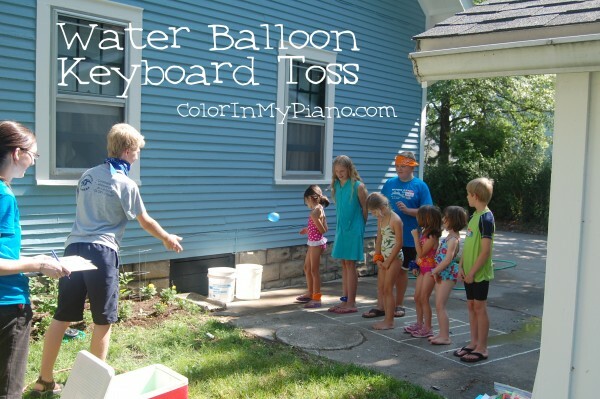 Draw a giant keyboard using chalk then toss bean bags onto the keys to spell some words. 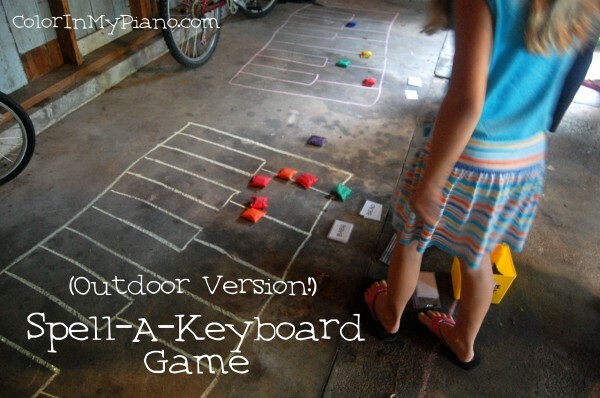 This game involves a giant chalk keyboard to work on piano key identification. Find out how to play the game using multiple kids! 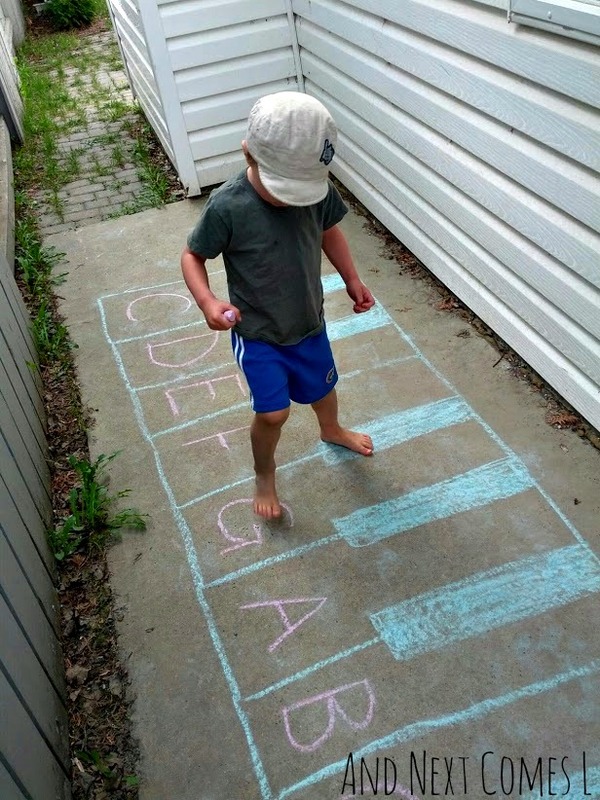 This chalk keyboard is a great way to learn about the musical alphabet, chords, and intervals. I love this music activity so much. It's great for discussing note values, time signatures, and rhythm. Looking for more music activities? Check out all of our music activities here or follow my Music Activities board on Pinterest for even more great ideas!